Location is key with any type of real estate purchase and that especially applies to a vacant lot. It is easy to see what is adjacent to your lot but you might not be able to get the full picture until you take a bird’s eye view. You could arm a drone with a camera or simply use Google Earth. It will give you a clear indication of what your lot is surrounded by not only in terms of other types of properties but also amenities like schools, hospitals and churches. The land you’re interested in buying might have recently been surveyed. Those records should be on file with the local municipality. You can check them out and make a copy. That will save you money on hiring your own survey company. A terrific vacant lot on the side of a mountain might look ideal but if you can’t run power or sewer lines to that property then you’ll find it to be a challenge to build on. As with the land surveys, you shouldn’t find any trouble accessing public records with regards to utility companies and whether or not they’ll have access to that vacant lot. Zoning laws are established to protect communities. 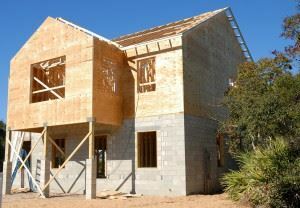 It’s very hard to go against a zoning law when it comes to developing a property. In other words, the lot you’re interested in might be perfect location for a restaurant but if it’s not zoned for that type of business, then it will be a “no go” from the jump. From a zoning perspective, everything might look great about the vacant lot you’re interested in. But it could have been turned into a dumping ground. That is just a cosmetic fix that is easily taken care with one call to Junk King Birmingham. They’ll be able to dispatch a team of movers to your location to do all the clearing work. Just turn Junk King Birmingham loose on a vacant lot and you’ll be amazed at how quickly they can clean it up. This entry was posted in Birmingham Junk Removal and tagged Junk King Birmingham, junk removal, rubbish, vacant lot on July 24, 2017 by Junk King. Last updated July 24, 2017 .